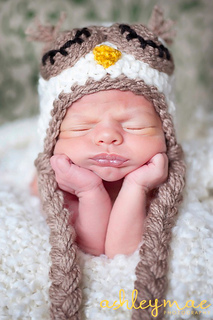 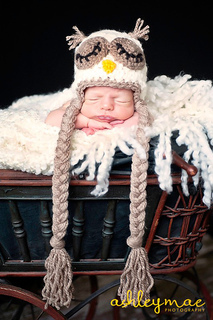 This adorable sleeping owl hat not only makes for a precious newborn photography prop, but is fun for any age! 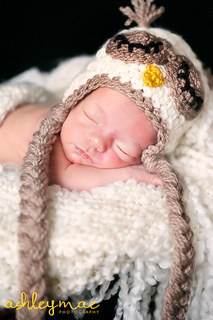 Hats can be made in many colors for a different effect - soft baby colors for newborns, or bold and bright for teenagers! 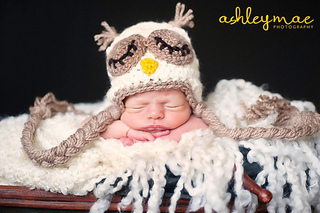 Each size has seperate instructions, so there’s no looking at stitch counts in parenthesis!